Dr. Siddiqi is Yale Trained and Triple Certified. He currently oversees our Vein Treatment Centers in New Jersey. Having grown up in New Jersey, Dr. Faisal Siddiqi is proud to be able to offer arrhythmia and vein services in his home state. Dr. Siddiqi completed his medical residency at the prestigious Yale New Haven Hospital. He subsequently pursued his interest in cardiology at the University of Maryland and graduated with competencies for clinical cardiology, cardiac ultrasound, and nuclear cardiology. During this time, he also developed a commitment for cardiac electrophysiology and pursued research interests in arrhythmia related disorders. His work gained recognition in peer reviewed publications and was presented at national academic conferences. Dr. Siddiqi went on to specialize in arrhythmia management completing a two-year fellowship in clinical cardiac electrophysiology at New York Presbyterian Hospital-Cornell Campus. Here he honed his skills for minimally invasive electrophysiology procedures with cutting-edge technology under the direction of world-renowned cardiac electrophysiologists. Dr. Siddiqi’s strong interest in minimally invasive techniques includes the treatment of venous disease. At the prestigious Park Avenue located Vein Institute and Pain Centers of America (VIP) in Manhattan, he trained with the distinguished Harvard-educated Dr. Michael Nguyen for the treatments of chronic venous insufficiency. 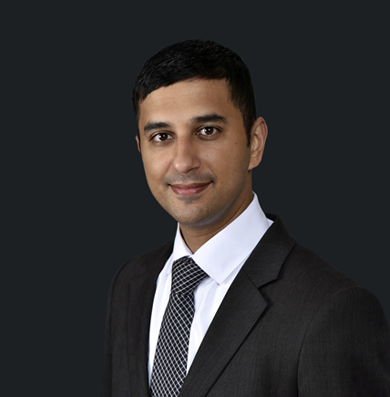 Dr. Siddiqi works with ultrasound, endovenous radiofrequency ablation (Venefit), phlebectomy, sclerotherapy, and the recently FDA-approved VenaSeal for varicose vein treatment.